In this modern age there are many different brands of tea available on the market for even the most casual drinker. Each brand of tea has its own specialty that makes some brands preferable over others when you are seeking particular qualities and flavors. In this section we review the fascinating history behind some of the more popular brands and the varieties and types of tea that they supply. Since its inception in 1945, Bigelow Tea has been the best-selling fragrant black tea in the United States. Learn all about the taste and history of Bigelow Tea. It is possible to have tea made to certain specifications to achive particular desired characteristics and flavors. Learn about some of the popular varieties and ideas behind custom blend tea. Learn the simple techniques Sir Thomas Lipton used to start one of the biggest and most successful tea distributors in the world. With a history spanning over 175 years, Tetley tea is most famous for accidently inventing the humble tea bag! 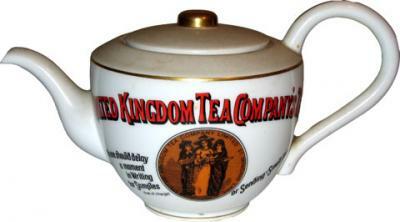 Established in 1706, Twinings was originally a British tea and coffee company best known for Earl Grey tea. Tazo tea is a modern company with a history of creating over 80 unique varieties of tea and tea blends.